Biodeterioration is the breakdown of food by agents of microbiological origin, either directly or indirectly from products of their metabolism. Preservation on the other hand is the process by which food materials are maintained in their original condition or as close to this as possible. 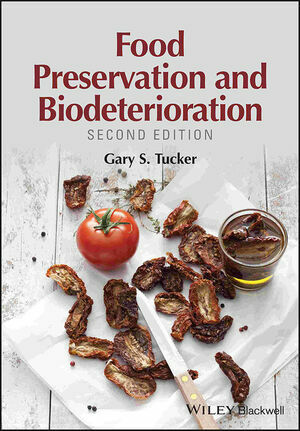 This second edition of Food Preservation and Biodeterioration is fully updated and reorganised throughout. It discusses how the agents of food biodeterioration operate and how the commercial methods available to counteract these agents are applied to produce safe and wholesome foods. With this book, readers will discover traditional methods as well as major advances in preservation technology. Both microbiological and chemical pathways are analysed. This topic being important to all producers of food, the readership spans food scientists across industry and academia, particularly those involved with safety and quality.